Besix Group (Besix) said a consortium comprising its key subsidiary Six Construct and TGCC has been awarded the contract to design and build the tallest building in Africa at Rabat, the capital of Morocco. The 250-m-high building is being developed by O Tower, a subsidiary of FinanceCom Group. China Railway Construction Corporation International (CRCCI) will continue to provide support to the winning consortium, said a statement from Besix Group. It will boast a luxury hotel besides offices and apartments. Also a viewing terrace is being planned for the very top of the tower. 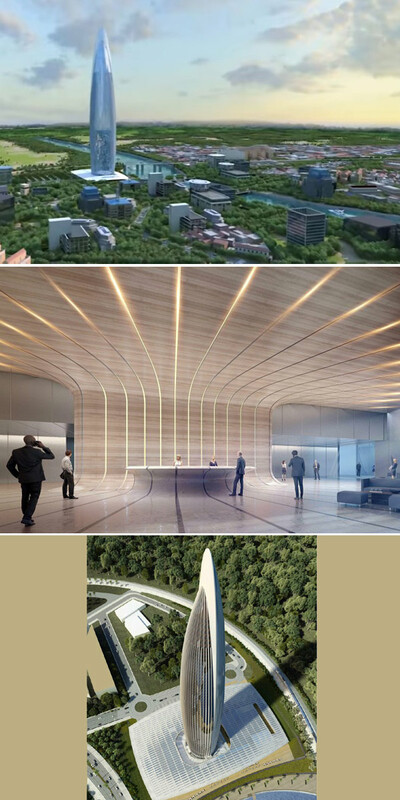 Designed by architects Rafael de la Hoz and Hakim Benjelloun, the 55-floor-building will be certified Leed (Leadership in Energy and Environmental Design) Gold and HQE for compliance with the highest international environmental quality standards. Work on the tower will begin next month and is due for delivery by mid-2022. Architect Othman Benjelloun said: "I have every confidence in the new consortium’s ability to build our tower, and in particular in Besix's skills and expertise. We are all working towards a common goal: to make our tower a source of pride, both for the Kingdom of Morocco and for the African continent as a whole." Besix Group CEO Rik Vandenberghe said: "The Bank of Africa Tower will be an emblematic building for the country. We are proud to participate in its construction in Morocco. In the case of the Bank of Africa Tower, we can count on our solid expertise in high-rise construction." Besix knows Morocco well, having already completed the Tangier Med II port expansion and built the Mazagan Beach seaside resort. The group's responsiveness and its ability to quickly mobilize expertise and workforces are well known, he added. Johan Beerlandt, the chairman of the board of Besix Group, said: "The Bank of Africa tower fits perfectly into Besix's tradition of excellence and will join the list of our most attractive achievements in terms of quality, innovation and aesthetics." Mohammed Bouzoubaa, the chief executive of TGCC, said: "Our company is delighted to be working in partnership with Besix, a world leader in high-rise buildings, and TGCC will do its utmost to make this key project a success." Based in Brussels, Belgium, Besix Group operates in Europe, the Middle East, Africa, Asia and Oceania, primarily in the construction sector.